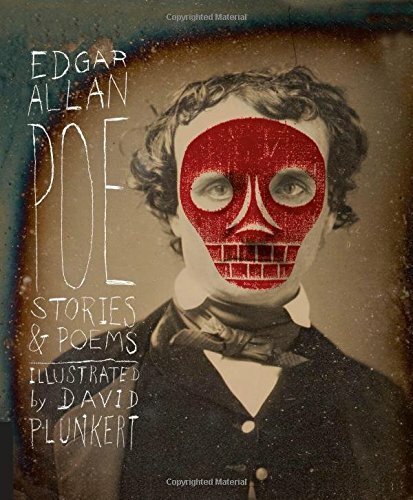 Today's post is long over due! I have so many products that I've been loving recently but I haven't had the time to rave about them until now. 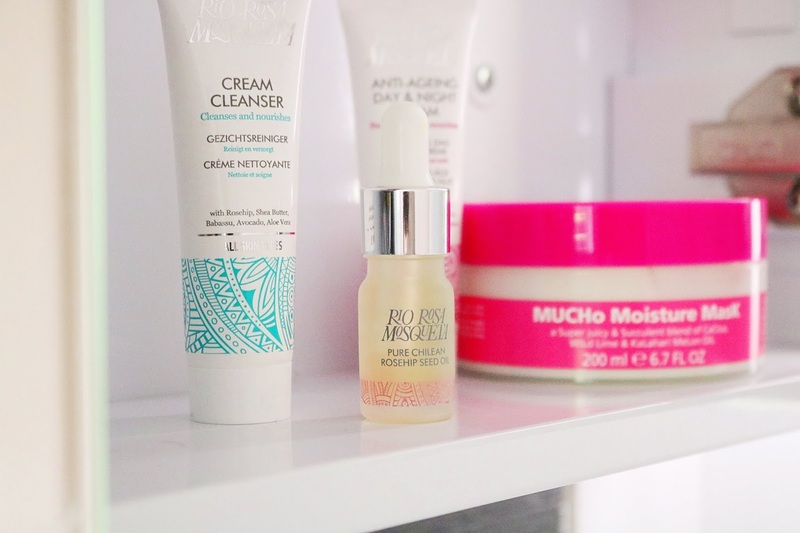 All of these wonderful beauty, skincare and pampering products have been favourites for up to the past couple of months and I cannot recommend them enough! July has been a pretty busy month with my friends wedding, bridesmaid duties, birthdays, holiday planning and more. July wasn't a great reading month or a good skincare month but on a positive note, July was my highest paid blogging month in my five years of blogging which I'm so happy with. The brands in todays post are as follows: Absolute Aromas, Rio Rosa Mosqueta, Vitage Skincare, PMD Skincare, Kathleen UK and Lee Stafford. I cannot recommend these products enough especially for the summer season and the heatwave we've been having for what seems like years at this point in the UK. 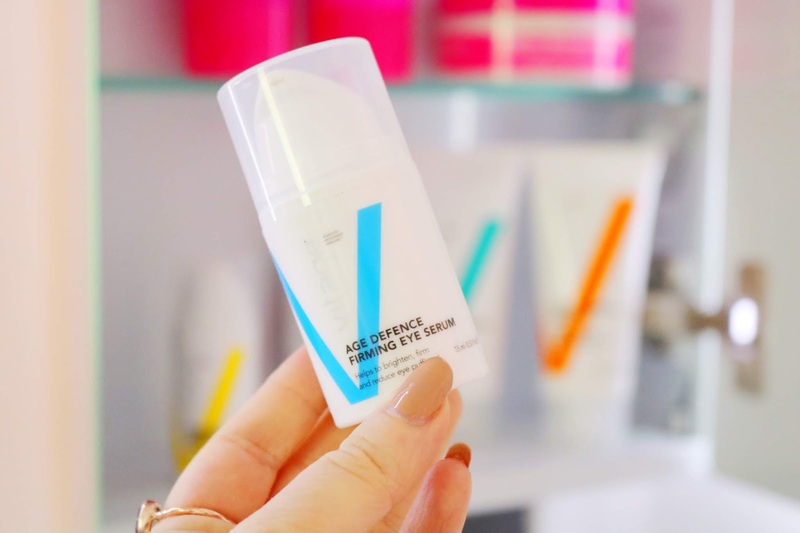 When it comes to unnecessary skincare I used to think that eye creams belonged in that category, until I tried this eye serum! I was very lucky to receive an amazing surprise blogger mail package of festival beauty goodies from the lovely people over the Vitage Skincare and I'm so grateful as I genuinely love every single product. The firming eye serum peptides, botanicals and antioxidants to moisturise, smooth and firm the under eye area. I love the packaging for all of the Vitage Skincare products and this one is no different. The eye serum has a slight cooling effect, it absorbs fairly quickly and it immediately smoothes and hydrates the skin so that my concealer and foundation look amazing - which is impressive considering how very dry my skin is. I cannot recommend this eye serum enough! There are three particular Vitage products I've been using constantly including the eye serum, skin calming aloe gel and this SPF cream. 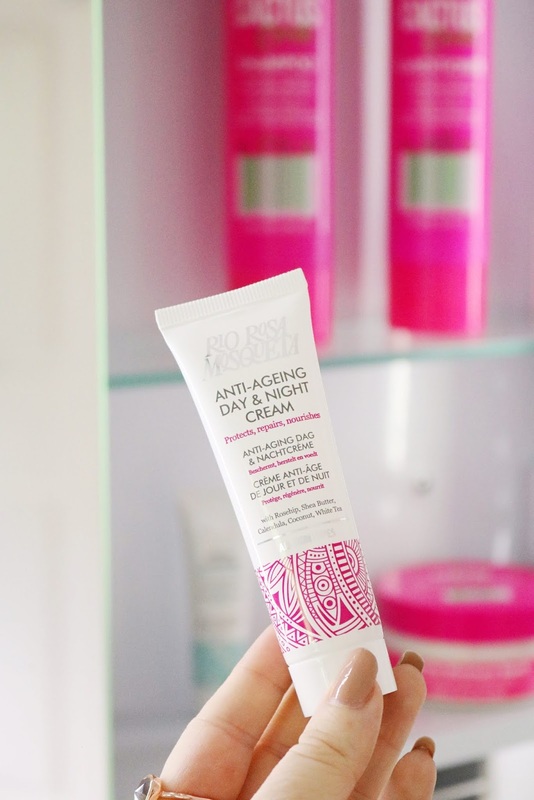 As I've mentioned, we have been having a rather ridiculous heatwave in the UK recently so SPF has been very necessary and this one is great; the cream absorbs quickly, it doesn't irritate my skin or leave a greasy feeling on the skin. 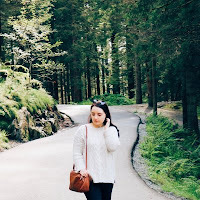 Before I received the surprise parcel from Vitage Skincare, I went to Heaton Park for a few hours and I managed to burn my arms and neck awfully! I haven't had any sun burn for years and I didn't really have any products to help my skin heal so the parcel arrived very timely so thankfully I could use the aloe gel to calm my painful sun burn. Aloe gel is a natural anti-inflamatory so it's perfect for sun burn! Last but not least is a fantastic, effective and fuss free moisturiser which has been perfect for my sensitive and dry skin. The moisturiser contains nourishing oils, green tea extract, calendula oil and more so it is deeply hydrating and smoothing. I know the price is a little steep but I can't recommend Vitage Skincare products enough because they've worked so well for my temperamental skin. Baths aren't usually something I love during the summer months but cooler baths with muscle relaxing and unwinding epsom salts are amazing especially on pamper days. 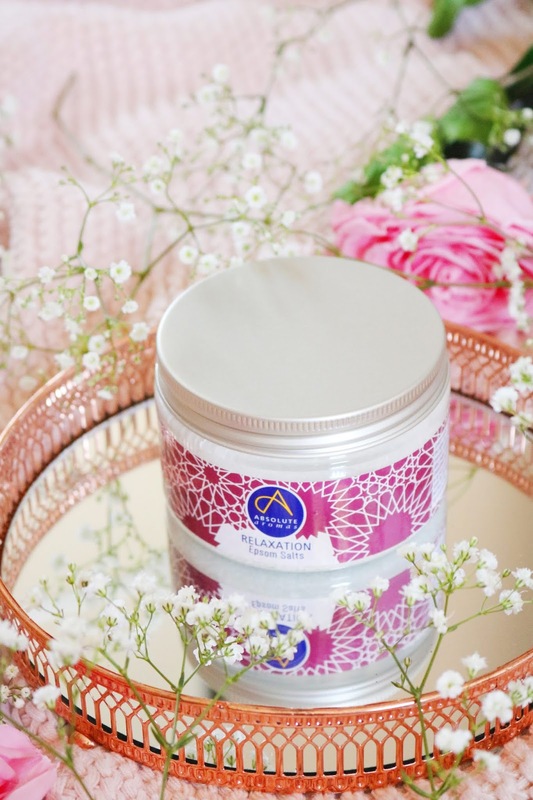 Absolute Aromas epsom salts are composed of magnesium sulphate which is well known for their abilities to relax and restore muscles, soothe the skin and ease back pain and aches. The relaxation salts contain lavender oil, clove bud oil, chamomile flower oil and more lovely natural ingredients. The bath salts smell incredible, it's such a relaxing and calming scent that I've been loving. If you are in need of a solution to aching muscles then check out these surprisingly effective bath salts. If you've been following my blog for a while then you'll know how much I adore anything that is lavender scented so this product is perfect! I also love pampering evenings so it's a double win with this heavenly scented body and massage oil. The oil has such a gorgeous, relaxing and calming scent that instantly makes me feel much more relaxed. I've been using a very small amount as a body oil on the drier areas of the skin and it leaves my skin so smooth, moisturised and nourished. 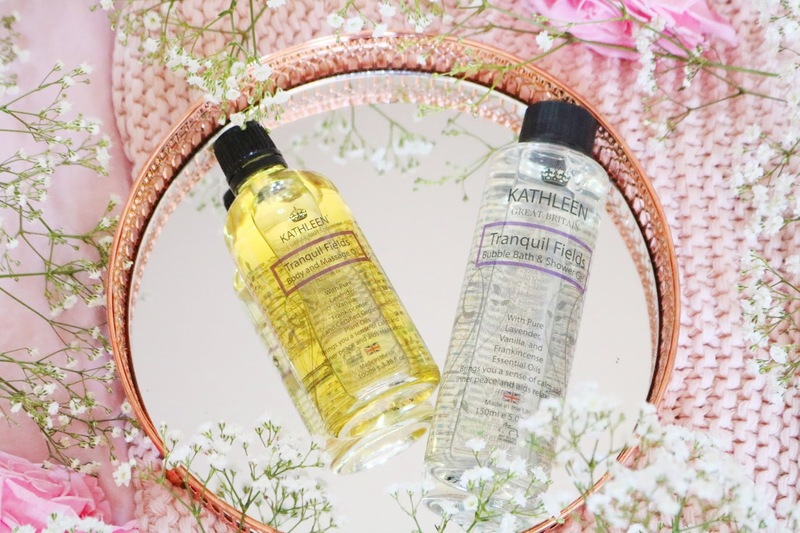 The second and final product from the lovely UK based brand, Kathleen, is their bubble bath and shower gel in the matching Tranquil Fields scent. The shower gel smells just as lovely and relaxing as the body and massage oil; it isn't a basic lavender scent as it's creamy which makes it much more unique. The shower gel lathers so well, a little goes a long way and it doesn't irritate my skin at all! This is my first experience using Kathleen products and I can't recommend them enough as lovely pampering products. 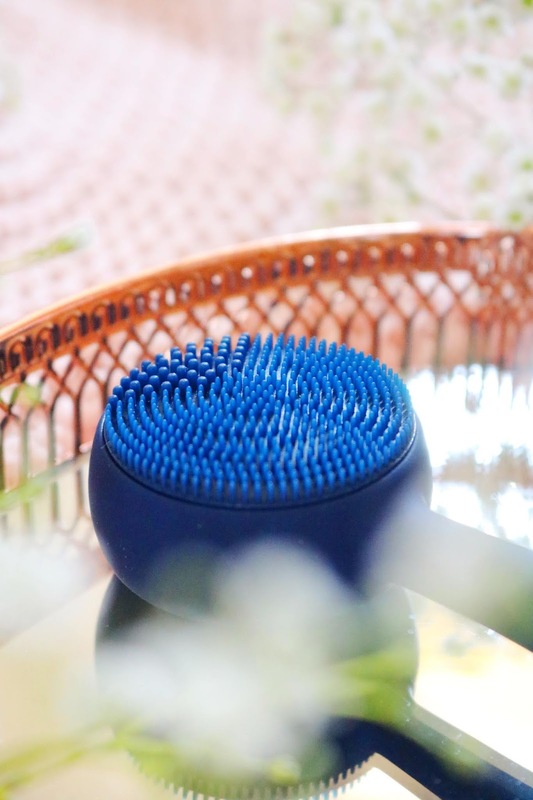 In the early days of blogging, the thing to have was the much coveted and expensive Clarisonic (I did buy one in the end, bloggers are such enablers). I sadly haven't used mine for a while but I've found something missing from my skincare routine recently, thankfully the PMD Clean has fit the bill wonderfully. 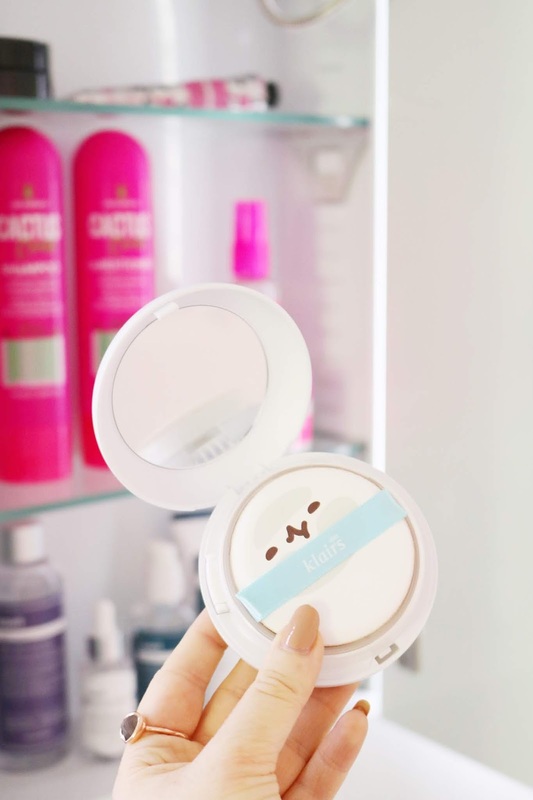 PMD is a brand I've been lucky enough to work with previously and I find their products to be very effective and this cleansing device is no different. The device vibrates over 7,000 per minute to deeply cleanse the skin as well as firming, lifting and toning the skin as well. Unlike the Clarisonic it is composed of ultra-hygienic silicone which is waterproof and hypoallergenic. I've been using the device for around two weeks so far which isn't very long but my initial impressions are very good and so far I'm loving it. My skin has been looking very dull and quite congested over the spring and summer months and this deeply cleansing device has definitely been making a massive difference to the clarity and smoothness of my skin since using it with my range of cleansers. It works well with so many creamy, gel or foam cleansers cleansers as it helps the cleanser lather and deeply massage the skin to cleanse well. It gently massages the skin but it doesn't irritate my skin which is something I have to consider as my skin is annoyingly dry and eczema prone. 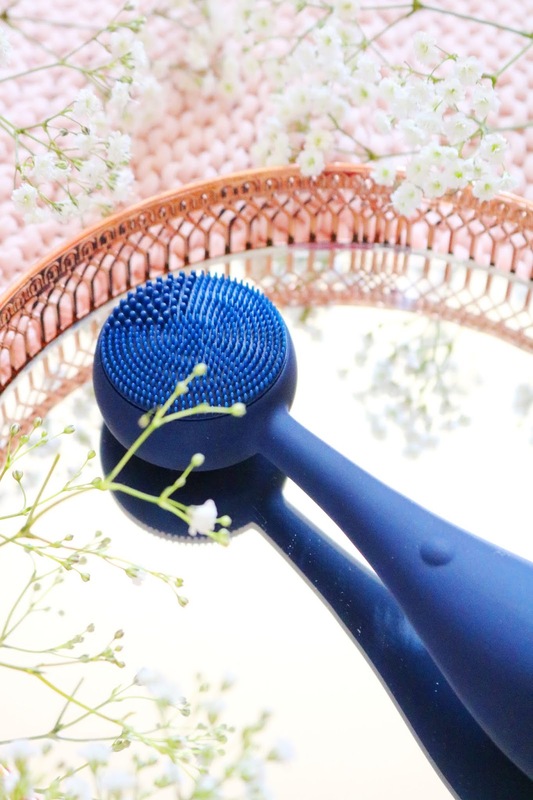 It's wireless, easy to use and very quick to throughly cleanse my skin so for me, it's an essential skincare product for summer. Now onto my favourite haircare products for quite a while, the new 'cactus crush' range from Lee Stafford. Lee Stafford is such a nostalgic brand to me as I used it almost constantly for years as a teenager, especially their poker straight range! I'm so happy to try their new products because they not only look so cute and summery but they smell nice and they're wonderful for my very dry and super long hair. It lathers really well, it's very mosiurisng and smoothing so I cannot recommend it enough as even during the summer months my hair is very dry and slightly...wild. As with the shampoo, I'm loving the conditioner from the range as it's so moisturising and detangling - my hair is hip length now and it can resemble a birds nest most of the time (I cannot wait to get it cut next month, 10 inches off!) so it needs all of the help it can get. The conditioner massively helps to detangle and tame my hair which is so impressive; if your hair is similar to mine then you'll adore this range. Another lovely product from their new range is the hair mask which I've used a couple of times and I'm loving it. I rarely use hair masks on wet hair, I find that it doesn't really work well for my hair, so I apply a hair mask all over my scalp and hair while it's dry the I'll wash it out after an hour or so. The mask leaves my hair so smooth, moisturised and silky! Usually I'm never really interested in any kind of shine spray or shine drops as I always think that they'll leave my hair greasy or oily but as with the Vitage Eye Serum, I've been proven wrong! The dazzle drops are ideal for me to smooth any the plethora of frizz and flyways while adding a little healthy shine to my hair. Boots currently have a 3 for £15 offer on this new range so I'd recommend you take advantage of the offer as I'm so happy with this new range from Lee Stafford. Next month I'm lucky enough to go on a weekend away in the Lake District with friends and I'm going on a European cruise at the end of August; I'm so excited for both and I need all of the travel minis! In comes Rio Rosa to the rescue with their new discovery set which is perfect for trailing their products for the first time or for taking with you on holiday or a weekend away. The kit contains the cream cleanser (20ml), anti-ageing day and night cream (20ml) and the pure chilean rosehip seed oil (5ml), the latter comes with a pipette which is so handy. I love the packaging, all of the products are vegan and they are very gentle but effective so they tick all of the boxes! 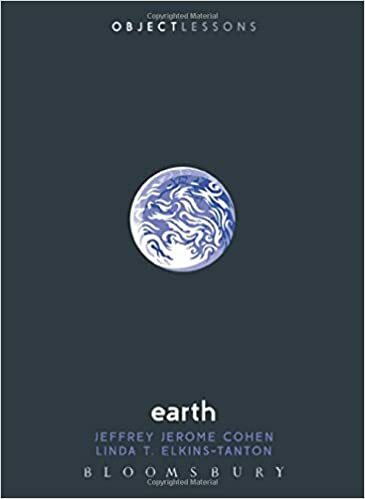 Some of the lovely natural ingredients included are as follows: macadamia seed oil, avocado oil, aloe vera leaf juice, shea butter and rosa mosqueta oil among others. I've been using the products recently and I'm loving them! I've worked with Rio Rosa previously and I loved their body butter but this is my first time using their skincare and I'm impressed. 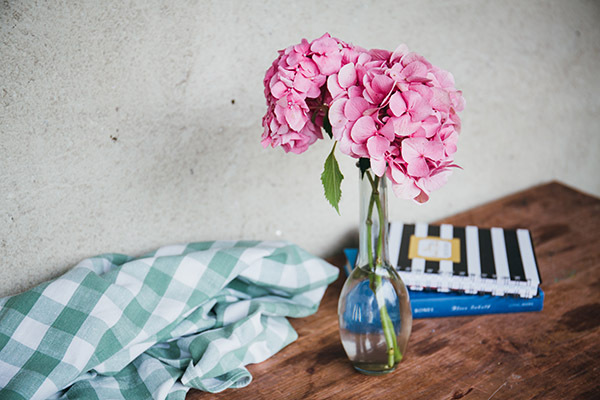 I have dry, eczema prone and temperamental skin which can transform from normal skin to sensitive, flaky and very comfortable skin within a day so I need to use nourishing, gentle and natural products that are effective and these are all amazing for my skin. So far the lovely anti-ageing day and night cream is my favourite product of the three as it's very soothing, moisturising and nourishing! I think the facial oil will be perfect when the autumnal months come around which if I'm honest, I cannot wait for as it's the best season (don't argue with me on this). If you're looking for a lovely natural skincare brand then look no further than Rio Rosa Mosqueta. Have you tried any of these products or brands? Which products would you recommend for the summer months? I've never used a facial cleansing device but I've wanted to for a while. I think I should give it a go! I am going to have to try some of these out, I have fallen out of love with all of the makeup/skincare in my collection at the moment! oooo wow they all look so good! So many amazing products! 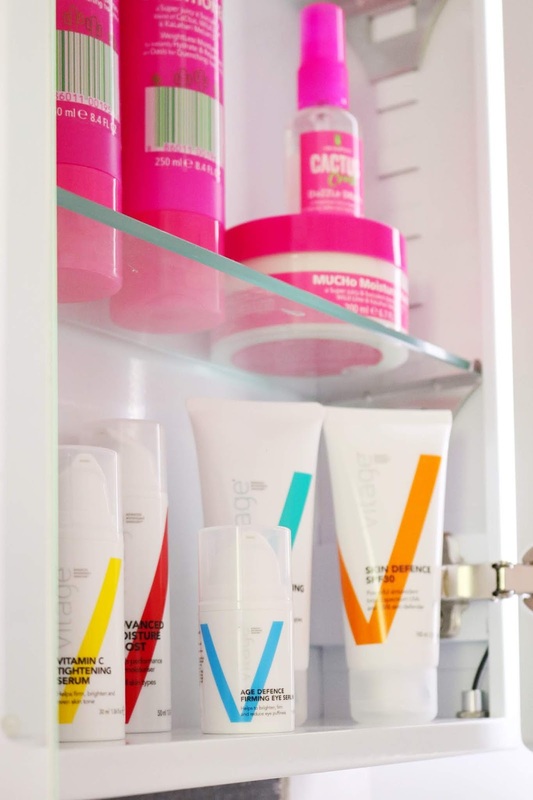 I love the look of that cleansing device, and Lee Stafford is a brand I really need to try for my haircare! Some amazing products here! I love Rio Rosa Mosqueta! There's quite a few brands I've never before in this post! The bath salts sound lovely. I love Lee Stafford! I haven't seen the cactus stock yet. I need to keep an eye out. 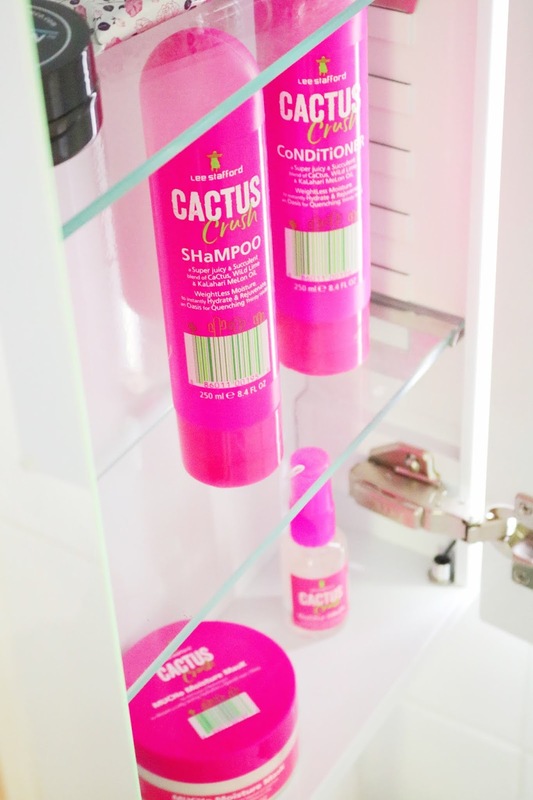 Definitely want to give the cactus crush hair products a go! I haven't tried any of these brands or products before! Definitely going to give the Lee Stafford hair products a try, they look and sound great! I'm a huge fan of the packaging of absolutely everything you chose!! You’ve got some great picks here. 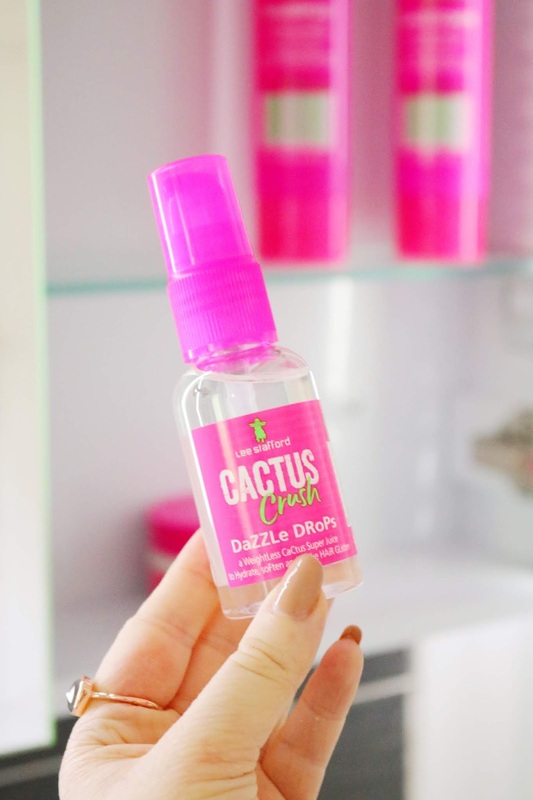 I’d love to try the cactus crush hair care.